With over 1.5 billion English speakers in the world today, English is, without doubt, the prevailing language in international relations, and people in both advanced and developing countries are fully aware that they will have limited professional or personal development unless they speak English. With 4.5 billion non English speakers, it is obvious that there is a huge market to exploit. According to British Council estimates, the number of people who will be learning English is expected to increase to over 2 billion. With the student at the centre of the learning experience! The learning experience combines live instruction, using advanced teaching methods, with e-learning (blended programmes). Each student is placed into the appropriate level based on an initial evaluation test. The learning material is designed according to the Common European Framework of Reference for languages (CEFR) and has been officially accredited by the UK Awarding Organisation NOCN. Axon prepares students for the internationally recognised certificates IELTS, TOEFL, TOEIC. the businessman, the educational and administrative personnel can attend on line seminars, regarding the management and everyday operation of the centre. Seminars can also be given through teleconference. The “Inglish” method; the modern, experiential corporative method of learning foreign languages is enriched with the “Inglish” method, the fun way to learn English trough karaoke, sportscasting, hollywood movies and safe internet projects. Axon@home; the professional assistant in English. The student can study without the help of his parents. Exclusive and officially accredited educational programmes which can be adapted to the local demands. master franchisee can become the leader in the local market in just two or three years. The candidate franchisee, has to fill out our request form. One of our franchise consultants, will contact him and will arrange a meeting where the parties are required to sign an initial non-disclosure agreement and provide further, detailed information. Our development department presents to the M. Franchisee the whole aspect of business and he posts a 20.000€ deposit against the M. Franchise agreement. We then provide the M. Franchisee with the agreement, we negotiate on the franchise rights and we proceed with signing. After the agreement has been signed, we provide the partner with the administrative and educational manuals while the appointed consultant guides him to finding the appropriate location for the centre. AXON GLOBAL Development Department in cooperation with the partner, analyse the local market and undertake the appropriate business and marketing plan. Administrative and academic personnel training is provided by our educational consultants. 1) Will the Axon franchise be successful in my area? Almost all new partners ask us this question. English has become the lingua franca of our times. The number of English learners (children, teenagers and adults) around the world is constantly rising, which results in an everincreasing demand for English language learning services. However, the number of those who don’t speak English yet remains extremely high: it amounts to 4.5 billion, according to reliable estimates. This means that in every country, city and area there is a huge market to exploit. Axon, being firmly established in many countries worldwide, with over 200 centres and many years of experience, guarantees business success. 2) What do I get for my money? To put it simply, you get the right to market our franchise business and educational material. These have been developed through years of research and refinement. By becoming our partner, you will have access to our marketing system and know-how, as well as to the online school administration programme, training, continual support and every other aspect of our business. 3) Do I need to be an educator to own and operate an Axon centre? No, you don’t. Most of our franchisees have backgrounds in business, sales, marketing, economics and management, or in education. 4) Can existing centres convert to Axon? Of course! 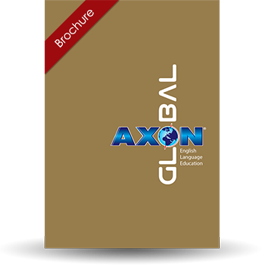 If you are already in the same business and would like to convert to the Axon system, we have a special programme for you. As an Axon franchisee, you will gain increased credibility in the marketplace, not only with individual customers, but also with major corporations and financial institutions. Furthermore, as the market changes through competition and new technologies, you can be sure that you will be part of the team leading the way. 5) Will I be able to sell the Power Publications books and e-learning to the free market? Yes. As an Axon master franchisee you will be able to sell books and e-learning, not only to Axon schools but also to the free market (public and private schools, companies, mass selling, etc. ).